Coupon Code for Cometchat « Mods and Tutorials for VldPersonals. Hire us to design your site. Cometchat are offering a 15% discount on all our editions and upgrades! This offer is valid only to Monday so you better hurry. 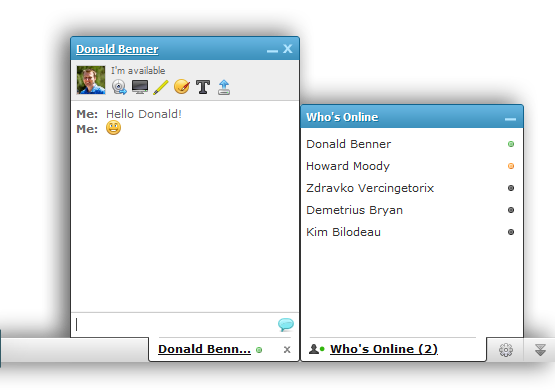 Add CometChat to your vldPersonals site today and increase interactivity instantly! To use this coupon code, simply click on the “Got coupon code?” link at the bottom right of the purchase page. For upgrades, the 15% discount will be applied on top of the price difference between the two editions. So that’s a lot of savings! Buy CometChat or upgrade to a higher edition for vldPersonals. 10,000s of sites use CometChat. Get your own in 60 seconds. you have a great blog here at https://vldmods.com! Hi there you have a good weblog over here! Thanks for posting this interesting information for us! If you keep up this good work I’ll visit your site again. Thanks! Wonderful goods from you, man. I’ve take note your stuff previous to and you’re just too wonderful. You could definitely see your enthusiasm within the work you write. The arena hopes for more passionate writers like you who aren’t afraid to mention how they believe. All the time follow your heart.